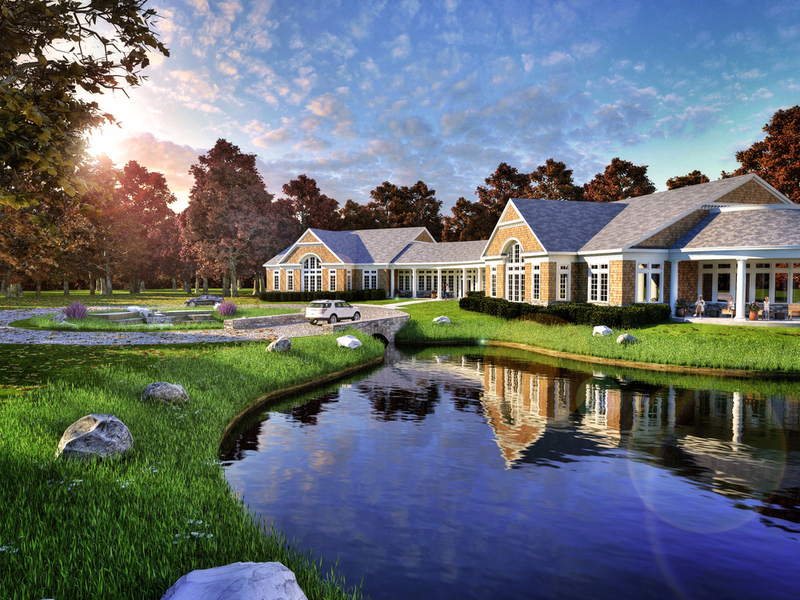 Presenting our newest renderings of The Woods at Valentown. Located in Victor, NY, these luxury apartments are conveniently positioned in the serene upper woodlands behind Valentown with just a short drive to Victor's shops and amenities. 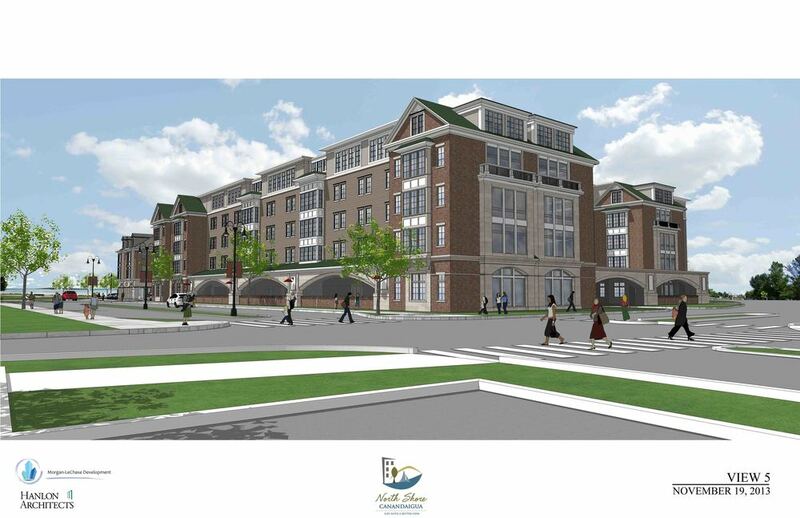 The proposed Inn on Broadway addition is currently under site plan review. 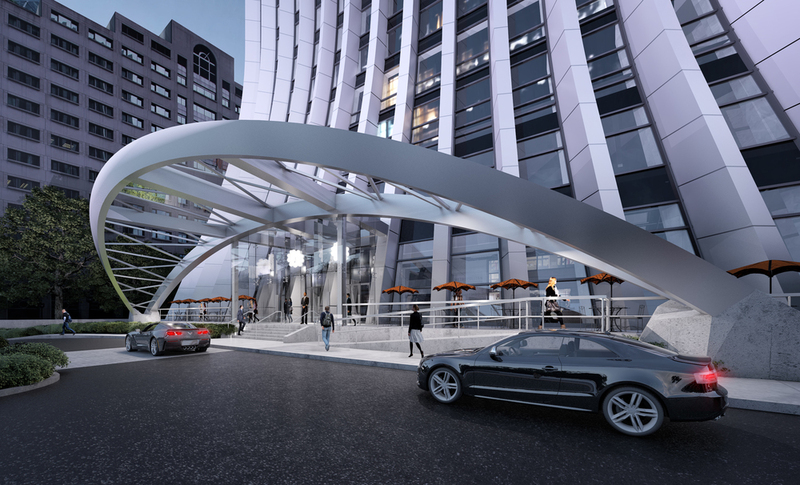 With 66 additional hotel rooms, 18 two-unit apartments, bar, restaurant, banquet hall, and a partially underground two-level parking garage, this structure promises to be a great contribution to downtown's thriving environment. Construction is underway on the new High Street building which will soon boast a second location for notable Upstate brewery, New York Beer Project. The steel framing for this tenant is almost complete and will be soon followed by steel framing for the rest of the 25,000 ft structure. Progress on the new Nolan's on Canandaigua Lake proceeds steadily apace! Teams are working hard to restore this community staple after the former building was lost to a tragic fire in July 2017. The new space will provide an increased bar area, a walk-out patio for outdoor dining, an additional dining room, and a private event room. We’re so excited to see Nolan’s back up and running soon! After a devastating fire to St. Pius Church on New Year's Day 2015, the parish is rebuilding and revitalizing! 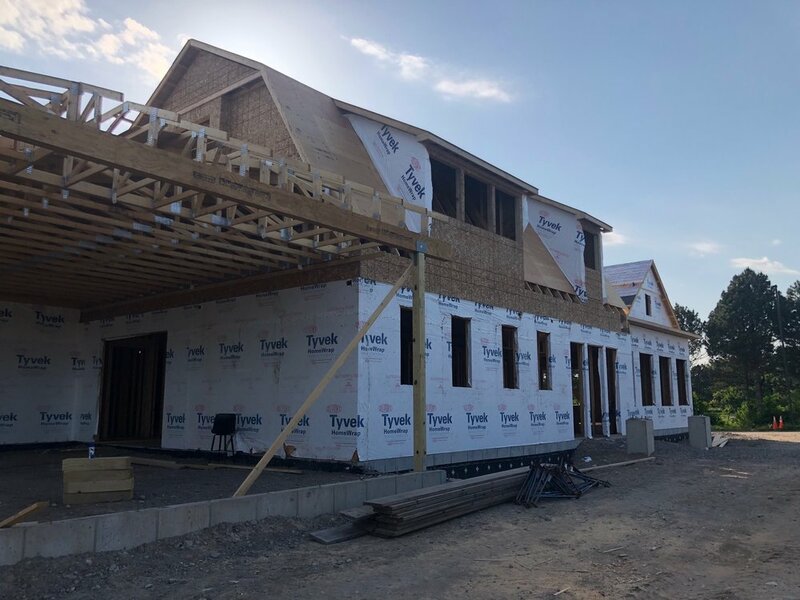 Contractors began lifting timber trusses and beams and putting together the framework of a new roof system on Thursday, August 3rd. The rebuild should be completed by Christmas. Rochester is redefining downtown and we are honored to play a role in this movement with the Chase Tower redevelopment. 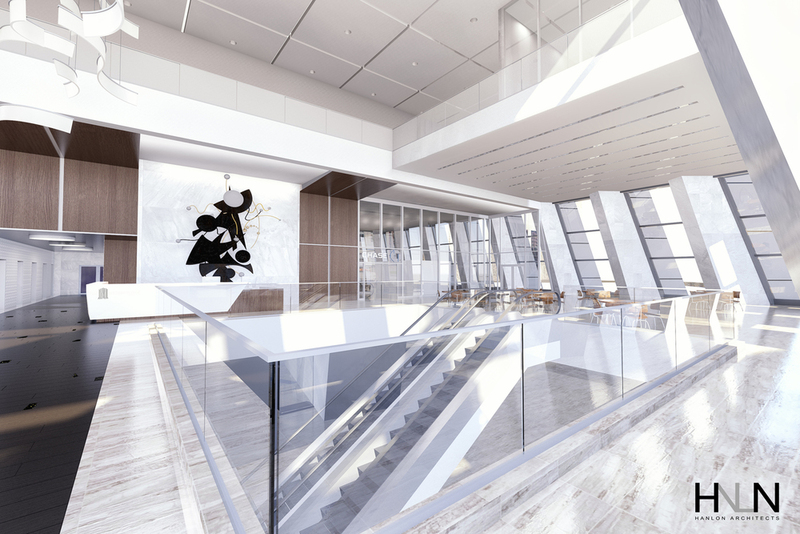 Plans for the tower include a revitalized green space at the corner of Clinton Avenue and Main Street, a new main entrance to the building along Clinton Avenue, an improved plaza level, and development of apartments and condominiums. When the man behind some of your favorite restaurants and café’s (Black and Blue, TRATA, Village Bakery Café and jojo) asked us to design his new Black and Blue location in Albany we couldn't have been more excited. Here is a glimpse into the design process. 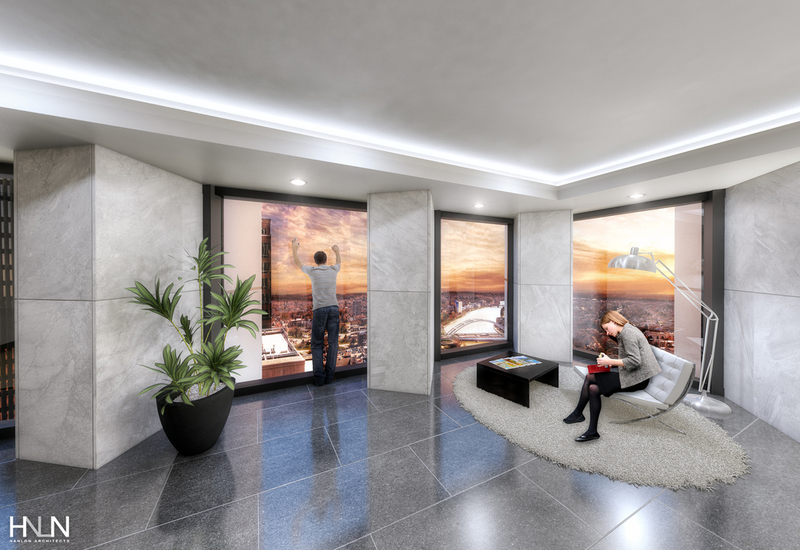 The image below is the chosen design direction followed by five of the design iterations. Congratulations Charlie! 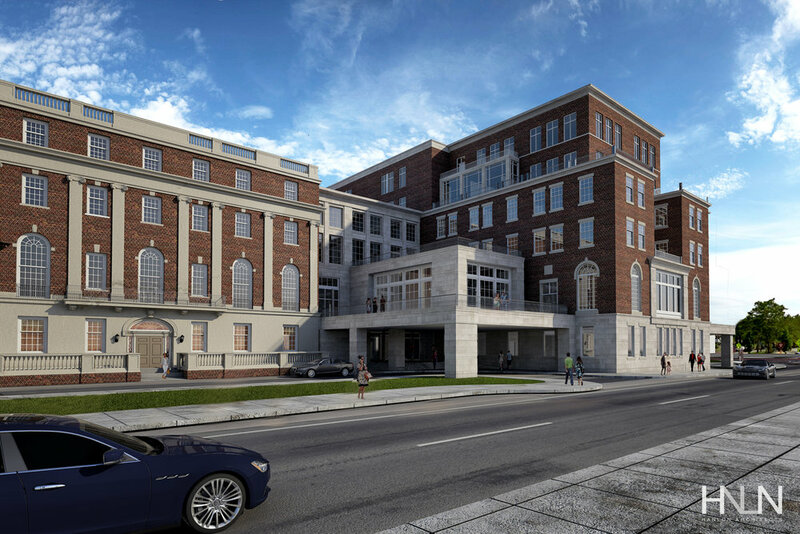 Construction is well underway on building two of the Culver Road Armory, exterior design concept by Philip Michael Brown Studio. The space, located behind the main Armory, will consist of retail and office spaces. Building two will re-purpose and preserve an existing barn on the original property by integrating it into the new space. Confirmed tenants include Arhaus Furniture and Fleet Feet.